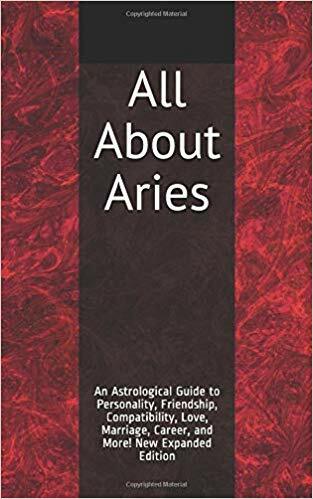 All About Aries, New Expanded Edition, now available in paperback and Kindle! Aries do best in careers that offer variety, novelty, independence, and perhaps a little bit of risk or danger (or a lot of it). Aries is the sign of the entrepreneur, the pioneer, and the fighter. Many Aries start one or more businesses, while others get involved in politics or law. Being impulsive and impatient by nature, Aries are more inclined to start career-related projects than to finish them. Ideally, Aries will initiate things and let others take care of the long-term execution. Because they are altruistic and generous, Aries may gravitate to professions that involve rescuing or protecting others. The courage, feistiness, and risk-taking proclivities of this sign also favor careers that involve competition (either verbal or athletic). Confidence and youthful enthusiasm also suit some Aries to working with young children. Aries is associated with all types of vehicles (particularly cars), weapons, and cutting tools, so typical Aries careers may revolve around these things as well. Note: The sun sign is only one aspect of an astrological profile. Many other factors play a role, including rising and moon signs. For example, an Aries with Virgo rising may be drawn to careers in the fields of fitness, nutrition, or general health rather than one of the more typical Aries careers. For more on Aries, see Aries Personality Profile, Aries Love and Friendship Style, Famous Aries, and Love, Marriage, and Compatibility for Aries. For more famous people by sun sign, see Astrological Signs of Famous People. For a full list of astrology articles, see the main Astrology page.